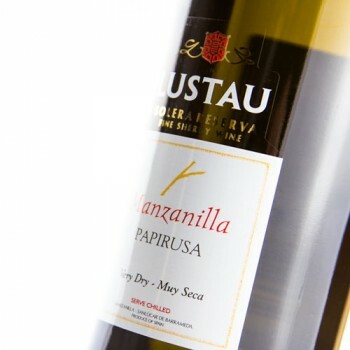 The NV Manzanilla Papirusa from Sanlucar de Barrameda has an intense straw color with a smoky nose of roasted nuts. The palate is dry and light, with clean, pungent flavors, showing finesse and good length. 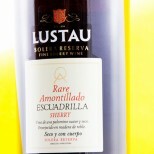 Lustau is doing a good job to improve their Manzanillas, working with a good almacenista in Sanlucar. Drink 2013-2014. Aged with the traditional Soleras system. 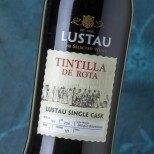 Lustau Tintilla De Rota Single Cask - 50 cl. Lustau Pedro Ximénez Single Cask - 50 cl. 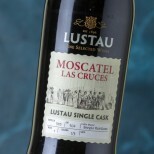 Lustau Moscatel Las Cruces Single Cask - 50 cl. Lustau Pedro Ximénez VOS - 50 cl. Lustau Oloroso V.O.R.S. - 50 cl. 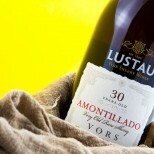 Lustau Amontillado V.O.R.S. - 50 cl.